Jennifer Morley, in class and performance, has a deep iliopsoas connection that demanded I pay attention, when I first saw her dance. She flowed effortlessly and efficiently. Her center support radiated throughout her body. Artistry sprung from a deep understanding of the way her body moved and functioned. I was spellbound. I was long-trained in classical ballet and from an early point, focused on creating a shape-in-space more than moving from an internal spring. Jennifer, or JMo as most everyone knows her, embodied the inward-outward dancing I craved to understand. “I chose the Pilates method because while I was pursuing my dance degree in college I found myself observing certain patterns in both my body and in my dancing that were not being addressed in my dance classes. In Pilates, I connected with both the clear biomechanics and the deep, clear, sense of embodiment I found…. It became a magic spell. I would go to Pilates sessions and the following day dynamic and physiological challenges that had been immovable for years were dissipating or gone. I remember my teachers noticing right away. I had a sense that the system was something I could rely on and ‘go home’ to,” JMo shared with me. Pilates is a movement practice developed by Joseph Pilates, and “designed to stretch, strengthen, and balance the body,” as described by the Pilates Method Alliance. I’ve experienced it as a way to deeply align my body and mind from the inside out, using carefully designed exercises that can be performed on the mat or one of the many Pilates apparatuses, under the careful guidance of a trained Instructor. For more info on the Pilates Method Alliance visit www.pilatesmethodalliance.org. Each dancer can utilize the many exercises, elements, and levels of Pilates to his/her unique needs. Traditional Pilates wisdom suggests practicing Pilates three times a week, but dancers can adjust that based upon their personal, cross-training needs. JMo reflected, “One of my teachers, Karen Carlson, often talks about our goal of moving all clients toward a highly functioning body. However, high function for a dancer means something very specific. I will, without question, slow down to help a dancer replace inefficiency or imbalance with success and integration. It is one of, if not the, single most important thing to me about this work. 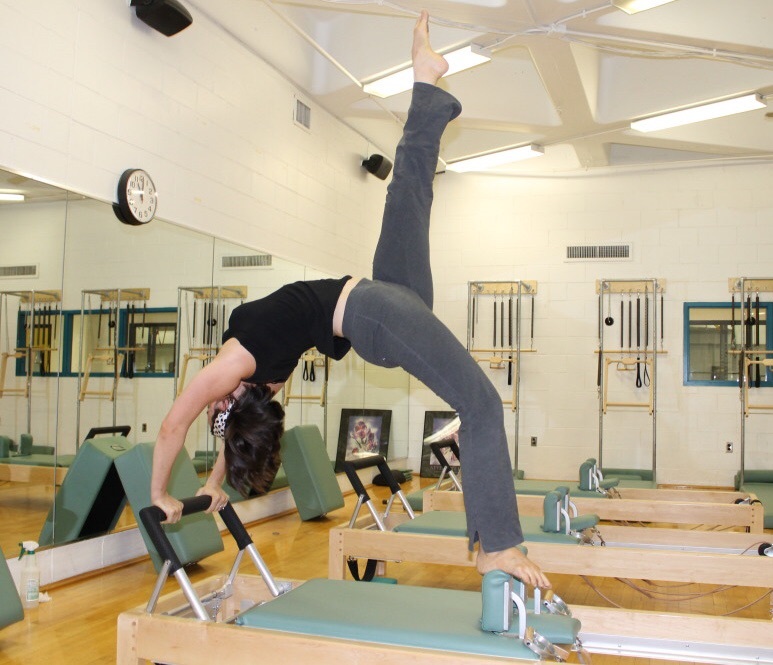 However, it is also really exciting to share the body of the classical work that I learned from Romana Kryzanowska.” (Romana Kryzanowska studied directly under Joseph Pilates and his wife, Clara). I asked JMo if there was a specific moment or experience with Pilates that was particularly poignant for her. I clearly see and am inspired by this energetic and emotional connection in JMo’s own dancing, teaching, and training. The clarity that Pilates offered JMo inspired me to further explore Pilates through my own training, and I became a Power Pilates Mat I & II Certified Instructor. I utilize many cross-training methods, but Pilates has provided a unique path to “go home” to my body also. And if you’re in the Greater Philadelphia area, JMo invites you to check out the community of Drexel Pilates at Drexel University. Have you practiced Pilates? What did you discover? Hi there, my name is gilda and I am 57 yrs old. I still dance when I can, and I am also a skateboard granny. I am in fairly decent shape for my height, I’m 5″8, and my age, and I go out and fast jog with my older grandchildren ( I have 16 grands). In my earlier years, I was the only black dancer in the Alpalachian Ballet’s Nutcracker. I was one of the snowflakes and also flowers. I started dancing when I was 8, and went to college with dance as a second minor. However, graduated in another area, married, kids, jobs , and wandered away from the dance, but it never left my mind or out of my heart. I believe once a dancer, always a dancer, even after you can no longer dance. What makes my situation unique, is that I have severe Rheumatoid Arthritis, which I have enjoy along with a tap and modern dance class. My hands have turned and not as graceful as they use to be back in the days before my illness, but I have defied the doctors in what I can still do with joints. I have had surgery on my right foot, which does not allow me to get back into my toe shoes, I have just decided to do the best with what I am able to do now. The Lord has given me a gift of determination and I like to challenge myself, to see how far I can go and what I can get away with, which is why I skateboard. A risk taker, you say? Definitely! I refuse to let the disease define me. I very happy I found your site. This is supportive, encouraging, and makes me even more enthusiastic about dancing. I’ve fallen in love with th dance all over again!!! Thank you so much!!! I’m sorry, about this statement I made within the comment. I did not mean to say I enjoy RA, but I enjoy Ballet along with tap and modern dance for adults. Somtimes, I even workout when I’m in pain, but I know when to stop if it gets to be too much. I also use to ice skate. I have numerous things I love to do now I am about to hit 60 on Halloween b- day this year, but I’m still looking for another great challenge, to challenge my mind, heart, and body. By the way, I’ve been playing the piano for 53 yrs. I am very active for my age, and feel very blessed to be able to do so.